Heat some soup or brew up coffee over the simplest campfires with the Coleman Deluxe Camp Grill. This 288-sq. 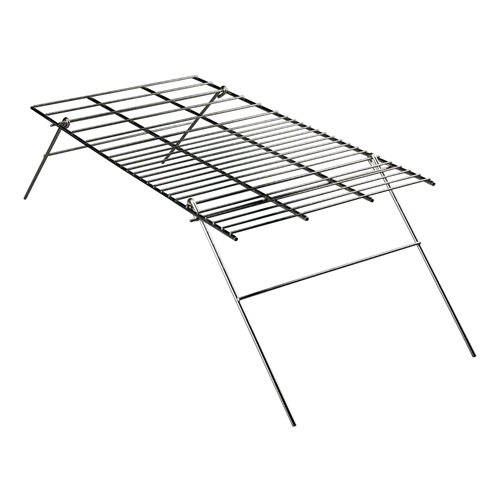 ft. nickel-plated steel grill stands like a table over the flames or lays flat on top of the fire. When breakfast, lunch or dinner is done, fold it flat for quick, convenient storage. - Size: 24" x 12"